I was surprised by a recent gift that I received from a dear friend and reader. Kenn's legendary biscuits, which were shared last month, have become the stuff of legend here on the blog and it was because of that write up, that my friend decided to send me a few goodies. I had been told by Kenn that he was going to share some 'items' with me which he felt would be of interest to my tastes. With my curiosity piqued I knew that whatever Kenn was sending would be marvelous. When the care package of good things arrived at my doorstep and I opened it, I literally gasped at what was inside. Kenn's generosity was immediately felt and his attention to detail in the packaging was something which made me smile with tears. I'm not sure when I became teary-eyed, but it must have been when I read his personal note saying how much he appreciated what I was doing here on Good Things by David. Kindred spirits. Plain & simple. Kenn said to me that his mother taught him never to miss an opportunity to say thank you for something that touches the heart, and these wise words handed down through the generations resonated with me. I truly feel this to be a fundamental tenet for every day living, because it is so much more rewarding to acknowledge and to show appreciation than to do the opposite. This is the way I was raised by my very own mother & father, and my day to day principles are a reflection on that upbringing. It's nice knowing that kind individuals out there, such as Kenn, live by this creed. Deep-rooted goodness is a human trait that I will always appreciate. I brought the care package back to my office area so that I could see what was in it. 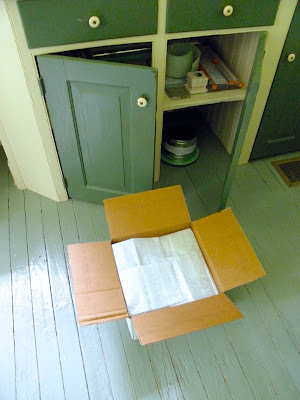 The mailing box was lined with faux bois tissue paper! I've never encountered this beautiful pattern on tissue paper before. Shareholders of MSO stock have been known to get goodie bags during annual meetings, which is what this particular bag was meant for. It's a lovely shade of Araucana Green and its handle is made from cream-colored ribbon. This is a collection of writing papers from the very early days of Martha Stewart Living magazine. The garden-inspired collection of prints (still in the wrapper) is a set of 5 writing sheets & envelopes, 5 note cards & seals and 5 postcards. I have never in my life seen these. This is what the back of the packaging looks like. I haven't dared to open this just yet, but when or if I do, it will be for a special decorating project for my home. Ideas are floating in my mind already. What do you think? The collection was printed in 1992 under the auspices of Clarkson Potter Publishers. They have published every single book for Martha Stewart Living. Decorating Booklets! Original decorating booklets from Martha by Mail which include the Prancing Reindeer & Snowflake Cookie Cutters, the Creating Cookies Booklet (this is a different version), a Cookie Decorating Party Booklet and the Cake Decorating Booklet (from a cake decorating kit). A couple of these booklets have not been discussed here on Good Things by David, so I will dedicate posts for them in the near future. Good Things Booklets from Martha Stewart Living! We have Cooking, Projects, Kitchen, Garden, Holidays and Giving. These little treasures will also be given special posts so that you can see what is in each & every one of them. Jadeite! Yes, Kenn, included a few pieces of Martha by Mail jadeite made by Fenton glass. I had to catch my breath as I unwrapped these adorable buckets. Originally, the Martha by Mail catalog had these listed as votive holders and were sold individually or in groups of 4. What makes these so special and so charming is the attention to detail; every single one is different. Not only do you see the swirls and color nuances of the molded glass, you also get to experience the 'faux bois' texture which is beautiful. Look closely and notice the 'belt' meant to hold the bucket sides together. You can even see those two tiny tacks that seem as if they were hammered in! The undersides are just as beautiful. 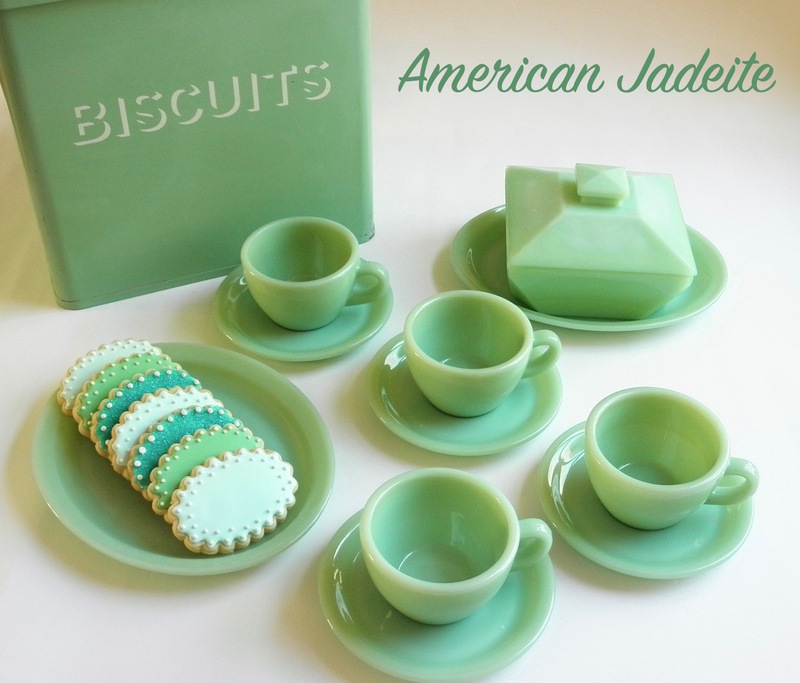 Hobnail glass was one of the last patterns of jadeite offered through Martha by Mail before it ceased to exist. I don't own any jadeite in this pattern, so this hobnail vase is very special to me. It now sits next to my computer ready to be filled with flowering herbs or a single bloom. Stunning! As soon as I saw the small buckets I knew immediately where they were going. I wanted to have them assist me with my cooking and baking so that I could see them every single day. My antique Ball jars are kept with all sorts of pantry items, such as salts from around the world. I gathered the ones I use the most and began to fill some buckets. The ones on top have freshly ground pepper and coarse kosher salt. I never cook without these two staples. The bucket on the left was filled with fleur de sel from the Camargue. This type of salt is very wet and tends to clump. I love adding this as a finishing touch to vegetables or main dishes, but I've been known to sprinkle a few crystals on top of desserts (think chocolate). Delicieux! Here's a favorite good thing of mine in the kitchen. I don't like having my measuring spoons attached to the rings they come with because I find them cumbersome. The rings are removed and instead of having the spoons in a drawer, I drop them into a cup or some vessel which holds them upright. The measuring spoons sit on my counter where they're at the ready and easily accessible. Try this in your kitchen. 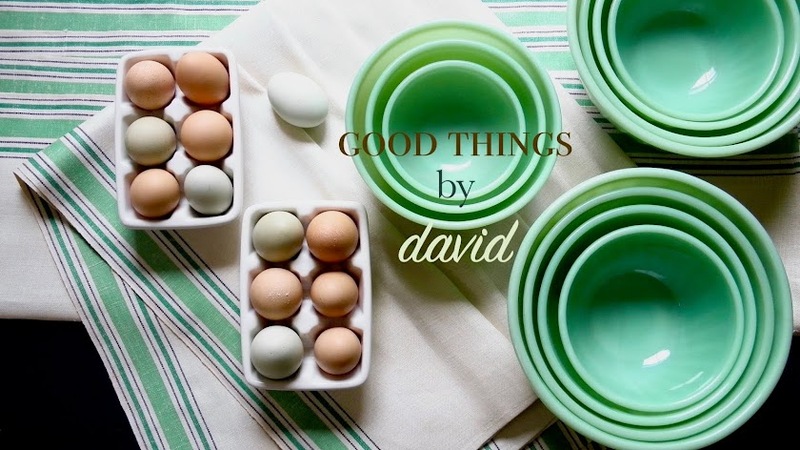 A jadeite cake stand topped with these small vessels can now sit next to my stove where I can reach them very easily. The cake stand elevates these kitchen essentials affording me more room on the kitchen counter. Sitting here next to my olive oils and vinegars (I use a small cutting board to protect my marble from spills), the filled pieces of jadeite given to me by my dear friend will always serve as a reminder to be kinder and more appreciative every day. Kenn, I can't thank you enough. Your generosity and kindness is one for the books my friend! Thanks for sharing your gifts with your fans. It's so nice to see people still have a heart and personalize things for the receiver. I'm am so glad to be part of this Martha universe and friends with both of you. Jim, it touches my heart to know that there is kindness and generosity out there. Kenn is very special, to say the least. THanks for your support Jim! Thank you David for sharing this wonderful gift that Kenn shared with you. What a wonderful friend you have. Some amazing gifts that will be well used (well, those you can bear to open!) I am sure. The little pails look lovely on your cake stand and you will be reminded of your friendship everytime you use them. Kenn - if you read these comments, you are obviously a very nice person to send David such a lovely thank you gift! Amy, thanks for the comment and Kenn does read them. These good things ARE amazing and will forever be cherished in my home! Kenn is one in a million for sure! My dearest David.. What a lovely post! Thank you, so much! While I've never had the pleasure of sharing a cup of tea, or a cup of coffee with you, there is that part of me that feels like I've known you for years and years. Perhaps it's just the similarities in interests, and the enjoyment of life's "good things" that generates that feeling. Being kind is just me being me. I love doing little unexpected things for the people in my life - and giving of myself to help others; even if that help is nothing more than letting someone know just how appreciated they are and bring a smile to their face and their heart. 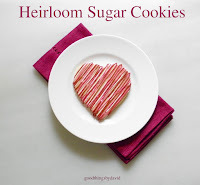 I'm thrilled that the little goodies have found a special place / use in your home. THAT means a great deal to me! May they always serve as a reminder to you of how special YOU are to so many people. I hope everyone takes a moment to pay it forward and share a kind word, a hug, or just a comforting squeeze of the hand to someone they know. Life is short.. don't let a day go by without being kind. Jim and Amy, thank you for your kind words. I truly, truly, appreciate it. "being kind is just being me".... Kenn, if only everyone felt that way this world would be a better place. Although we haven't met (yet...) I just know that we're kindred spirits. When the time comes for us to meet I have a feeling we're going to feel as if we've known each other forever. Kenn, all of the good things you sent to me are going to be cherished for years to come. Trust me when I tell you that they will be close to my heart and will always remind me of your kindness. David, this is such a great gesture on Kenn's behalf. You must be so happy to have such a good friend who is willing to gift you those treasures. ...do unto others... Clearly your good intentions are noticed by people and Kenn's nice gesture is a reminder for all of us to pay it forward as he says! Kindness begets kindness, David. You and Kenn are indeed kindred spirits! Your comment about everyone being that way making the world a better place is so true. And Kenn, the gifts are thoughtful and lovely. Isn't it wonderful to know how much they are appreciated and used?! Margaret, I do believe in doing unto others as you would have them do to you. It's just one of those principles that was instilled in me by my parents at a very early age. Thank you for those kind words. Kindred spirits for sure! Believe me when I say that these gifts are going to be cherished. I'm looking at one of them now as I type this! As for your spoons being out inside a crock, I LOVE IT!! You are a true baker, Nancy. Oh, David! What an incredible gift and an even more incredible friend you have in Kenn! I love it all! Especially the Jadeite buckets and those MBM booklets! I'm crying tears of joy and thanks for Kenn with you! Aren't the buckets charming? And those booklets, I know! I will dedicate posts to them because they're absolute classics. You can believe that all of these wonderful things will be cherished!